Mega Sale! Free Shipping Included! Save 21% on the Impact PRO-Y Pro-Pac Metal Squeeze Wringer/Plastic Bucket Combo with 3'' Casters, 26-35 qt Capacity, Yellow by Impact Products at Blog Free Here. MPN: PRO-Y. Hurry! Limited time offer. Offer valid only while supplies last. Pro-Pac metal squeeze wringer/plastic bucket combo with 3'' casters. Foam grip handle. Strong, long-lasting combo pack designed for professionals. 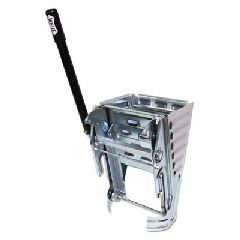 Pro-Pac metal squeeze wringer/plastic bucket combo with 3" casters. Foam grip handle. Strong, long-lasting combo pack designed for professionals. Yellow color. 26-35 qt size.